Our kids classes will help your child build discipline, respect, self confidence and life skills. View our class schedule and schedule your free trial for your child today! 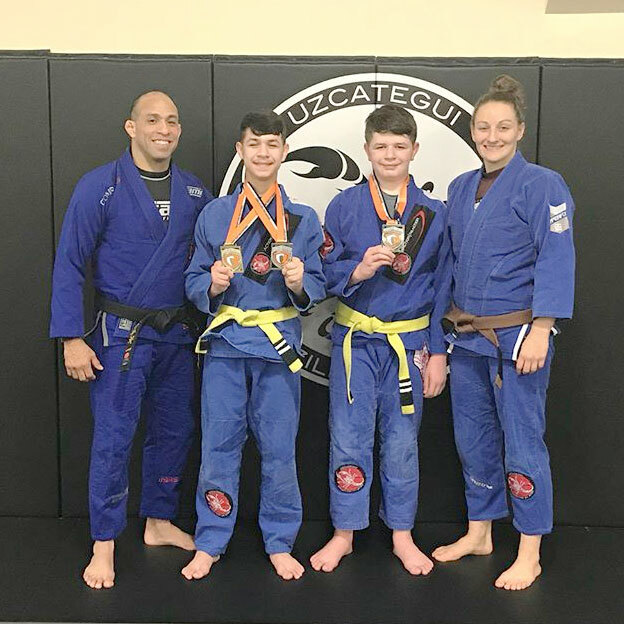 What is Brazilian Jiu Jitsu and what can my child gain from participating in classes? Brazilian Jiu Jitsu is a grappling art with submissions that was created for self defense. This art teaches technique over muscle so a smaller person can defend themselves from someone larger. Professor Jonathan and Hope are amazing with the kids. I have seen so much growth in my boys since starting at the academy. They have made us feel like a part of the family. Quick Notes for First Class. Increasing physical attributes like strength, agility and flexibility.